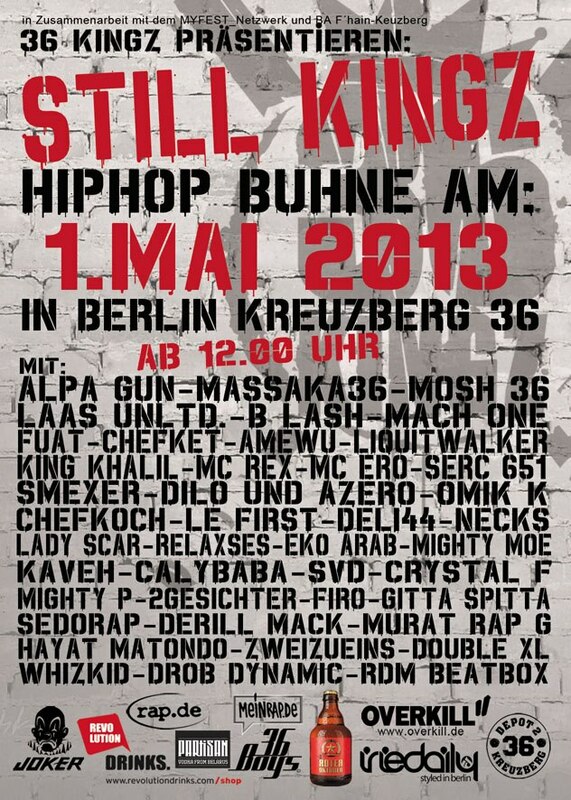 Myfest 2013 is a three in one day celebration for Berlin that has been taking place on May 1st ever since 2003. Most commonly known as “Labor Day”, May 1st in Berlin is incorporating street festivals, parties and protests. 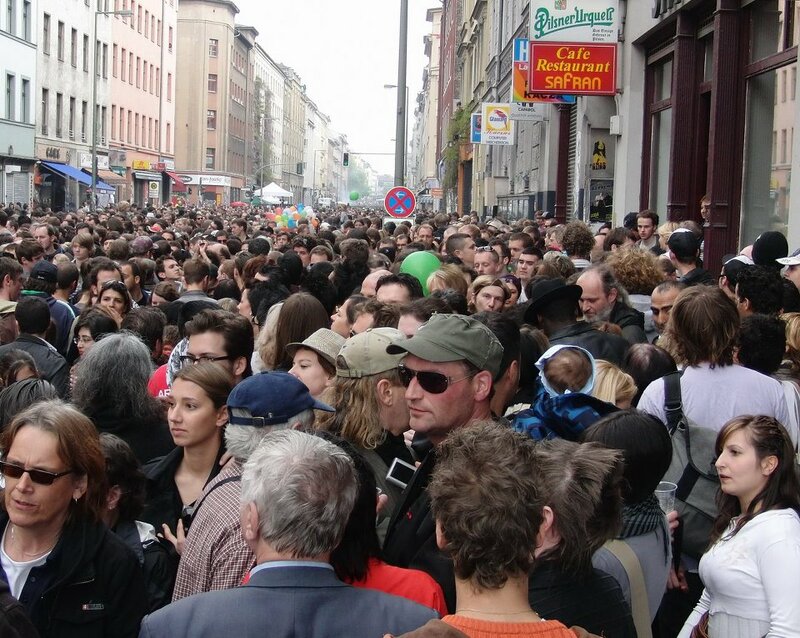 On May 1st many generations and people from all over march the Berlin streets as an act of protest against violence. Myfest is a celebration of non violence, peace and tolerance. The center of the event is Kreuzberg, but it also goes across the whole city. It is a truly exciting day for both for Berliners and visitors. 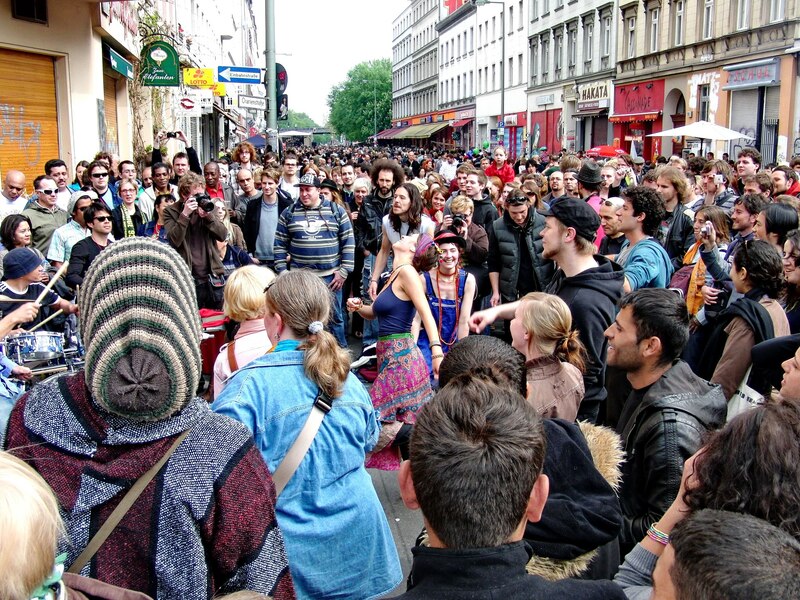 Kreuzberg gets flooded with people who are either dancing, drinking or protesting. The big streets are closed for traffic and there are beer and food stands all over the neighborhood. Djs and music groups and bands are performing and partying on pretty much every corner of Kreuzberg. The organizers are trying to engaged more kids, teens and younger people to participate in the idea against violence. In my opinion, during Myfest, Kreuzberg is not particularly kids friendly, but the other parts of the city are and they also offer a bigger choice of foods and entertainment. However, there are many great concert and fire performances on Myfest that take place mostly in Kreuzberg. With time the celebration day has become much more organized and safer; many politician, local residents and a big police force are taking care of the safety during the day long celebrations, protests and parties. On this day, glass bottles and cans will not be sold in the whole city of Berlin.